If you went from a little-known presenter to a global name in a short space of time, would you start splashing out on pricey beauty products? 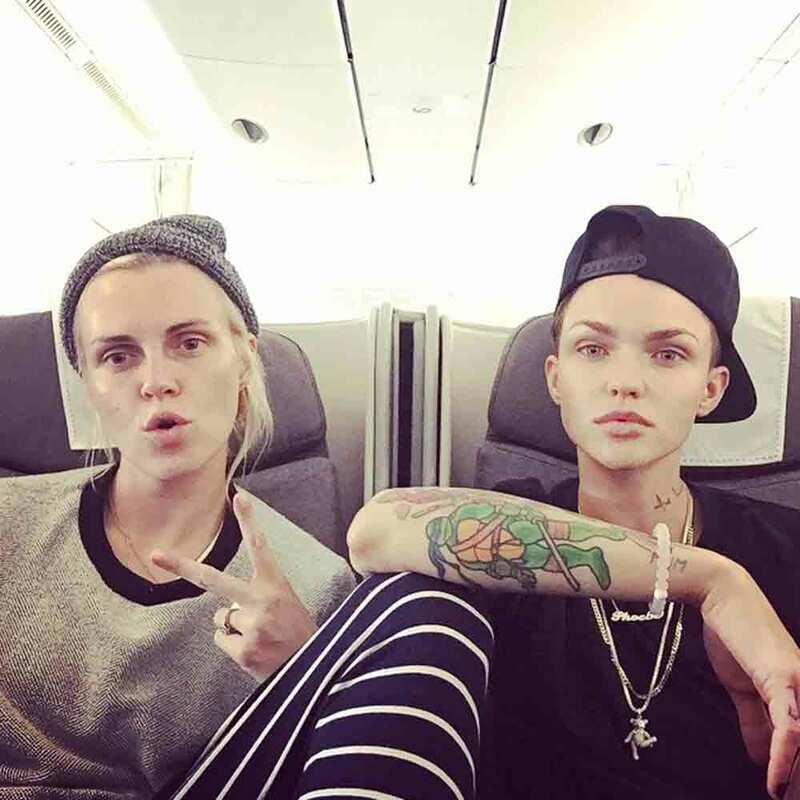 It doesn’t look like Ruby Rose is about to anytime soon. The actress – who’s currently winning over fans as new inmate Stella Carlin in the third series of Orange Is The New Black – has a rather low-key daily routine and is happy to use very affordable lotions. ‘I wash my face three times a day, if I can. That’s my one important thing. I’ll do hair and make-up and then if I’ve got a break between the next fashion show I’ll wash it all off, do a quick mask and then put make-up on again, just to let my skin breath,’ she revealed. Suitable for both sensitive or dry skin, a bottle of Cetaphil moisturising cream can be snapped up for under £10. A complexion as clear as Ruby’s using a product that won’t break the bank? We’re sold. And when it comes to hair, Ruby – who’s engaged to Roald Dalh’s clothing designer granddaughter Phoebe – is just as relaxed. She certainly has no plans to swap her close crop for long and bouncy blow-dried layers. ‘I’ve got my barber in America, Dylan, he’s super famous, he does everyone’s hair, like P. Diddy and everyone,’ she told Beauticate.